Ben started playing viola nearly 10 years ago, first learning the instrument in elementary school. Throughout the years, he has participated in many orchestra and music festivals including NYSSMA All-State, NAfME All-Eastern, Eastern Music Festival, and the National Symphony Orchestra Summer Music Institute. Ben has been awarded the New York State School Music Association Award and the NAfME Exceptional Musician Award for participating in respective honors ensembles at the state and national levels. Ben has played in master classes for members of the New York Philharmonic, Nashville Symphony Orchestra, and National Symphony Orchestra. Previous teachers include Naomi Graf, Diane Phoenix-Neal, Chauncey Patterson, and Mahoko Eguchi. 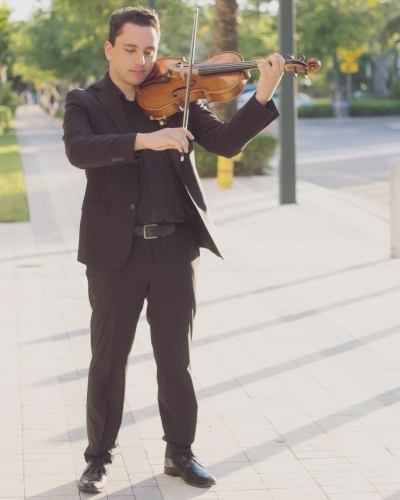 Today, Ben studies with Jodi Levitz at the Frost School of Music at the University of Miami.